Belmont Public Library – A place to discuss books we are reading and recommend. A place to discuss books we are reading and recommend. Log on to the catalog with your library card # and the last 4 digits of your phone number and reserve your copy! Keiko is not “normal.” She thinks in a very logical/literal sort of way, and feels pressured to fit into society, despite not understanding society’s expectations. So she fakes it. Her job as a convenience store worker suits her well, but she is worried about what will happen if she doesn’t meet society’s expectations that she either marry or get a better job. I enjoyed this book mainly because it was so interesting. Keiko does not think like I do, and her exploration and experience of the world is just so different. I was hooked. It is also a short book and doesn’t drag on. This warm and inviting picture book is by Astrid Lindgren, the famed children’s book author of the Pippi Longstocking series. The Tomten is a little gnome-like fellow who discreetly watches over the farm in the woods during the cold dark of winter. With lulling repetition he visits the farm animals and the family to reassure them that he is watching over and caring for them. This book is a gentle exploration of the promise of spring during the depths of winter. A charming, quiet story to share with your little ones. With colder days upon us, and flurries that remind us of the urgency to “put summer to rest” I’ve gathered up the last of the seeds and pods to tuck away for spring’s rebirth. ‘Til then, after a summer of the garden’s resplendent bloom, I will need to settle for bulbs and books! The Language of Flowers, a novel written by Vanessa Diffenbaugh, tells us of the Victorian custom of communicating messages via flowers. It gives us a detailed look at the ‘language of flowers’ through the eyes of an emancipated from foster care eighteen year old girl. Victoria is a young woman consumed by fear, anger, and hostile behavior. Raised in multiple placements, Victoria is unable to place her trust in relationships, and is unable to give what she does not have within her. Through the broken, yet committed determination of a woman who is willing to love just a little bit more, she is taught about flowers and our fragile lives. The Language of Flowers is a story of foster care, told in past and present, beautifully interspersed with the magic of flowers. Short chapters with deep themes! A fascinating read on a quiet afternoon with a cozy fire and some bulbs growing on the window sill! Kayla Butts is sad, if Avery has anything to say about it. She’s chubby, weird, and doesn’t hang with the right crowd. Avery Armisted is awful, if Kayla has anything to say about it. She’s spoiled, mean, and too caught up in her social media. The two clash; societal reject verses spoiled brat. However, Avery’s father doesn’t see this. Mr. Armisted decides that his daughter would benefit from a trip to Spain alongside her former best friend Kayla. After a perilous plans journey (including a lost passport and a lot of running) they arrive. Mr. Armisted expects to get work done and Kayla and Avery anticipate beautiful views and even more beautiful Spanish boys. What they actually find, could be more groundbreaking: a family secret. A great, lighthearted, and engaging pre-holiday read with a dab of drama thrown in for fun. The main character, Olivia, is a pastry chef in a big city restaurant with a penchant for dying her hair crazy colors when she is stressed out. After an unfortunate incident at work that involves a flaming dessert she escapes to a little town in Vermont with her giant dog Salty and stays with a good friend, intending to stay only for a short time. She finds a small town full of quirky characters who make her feel right at home. She also finds a job and a place to stay as a baker at the local country inn run by a rather cranky owner. The cherry on top with this book is the recipes sprinkled throughout the story and included in detail in the back of the book because, of course, the author Louise Miller is a professional pastry chef herself. Louise is also New Englander making her home in Massachusetts. April 2019 Staff Picks and farewell to Katherine! Richard lives for his career as an internationally known concert pianist. His ex-wife Karina blames him for her own stunted musical career. Then Richard is diagnosed with ALS and there’s only one person willing to care for him as his disease worsens – Karina. The author, Lisa Genova, is a Harvard-educated doctor of neuroscience and has done her research. What I like best about her books, however, are the deeply real characters. This will be Katherine’s last staff pick with BPL! She is leaving us after many years of service. Stop in to wish her farewell before the end of April. Poetry – I haven’t historically been much of a poetry reader. I haven’t (quite) gotten the point. Sometimes, I almost get the point. Here, I definitely got it. After this, maybe, I’ll be a lot more into poetry. It shows the magic of words and how they can play together. Le Guin will be missed. Jim and Aurora awaken 90 years out from the slated arrival date when the hibernation pods malfunction on their spaceship which is transporting 5,000 passengers to a new home on another planet. Both Jim and Aurora face the unfathomable likelihood of living out their lives as the only two humans awake on the ship unless they can fix the ship, save their fellow passengers, and save themselves. This is a taut psychological thriller with a bit of romance and it successfully plays with the old question: who you would want to be stranded on a desert island with?Grab your popcorn and the edge of your seat because this is a wild ride! Local author Diane Les Becquets (SNHU) writes a complex story of survival as Amy Raye Latour, a skilled hunter, wife and mother, sets out for a weekend wilderness getaway in the remote and rugged terrain of Colorado. When Amy disappears and does not return to camp her companions notify the local authorities. Ranger Pru Hathaway and her dog Kono begin a missing person search. With winter snowstorms setting in and few leads, the search takes us on a journey of sheer endurance, persistence and skilled determination. Although adventure thrillers are not typically my kind of book, I found myself “reading fast”! Admittedly hunting details slowed me down, but the suspense and urgency of the search kept me anxiously turning pages! Middle school soccer player Faith has been recruited to join her school’s C Level soccer team; The Bloodhounds. She hopes to play the sport she loves alongside a like-minded team, and bring home some wins but not all goes as planned. Faith is one of the youngest players on the team that consists of players whose minds couldn’t be further from their sport. Sodacan and Marie who just wanna rock out, talented Jalissa and coach’s daughter Huong, bratty and boy-obsessed Bulldog and Warthog, sturdy goalie Yarelis, brave Sammy, the bullied V, and a distant girl named Zoe make up the team of misfits. Despite their commitment to the team, the members of the group each have their own struggles. Boy troubles, grades, fading friendships, new passions, gender and sexuality struggles, anger issues, and young love remain on the players minds on and off the field. Even Faith, committed player and good sport, lets her mind drift away to a fantasy land she’s created in which she travels with medieval messenger Mathilda. This book begs the question; is teamwork really the only thing that matters? Victoria and Abdul tells the true story of a very unusual friendship between Queen Victoria and a visiting young clerk from India. Abdul, not truly understanding royal protocol and with innocent honesty, endears himself to the aging monarch. Victoria begins to rely on Abdul’s counsel a bit too much in the eyes of her inner circle of royal staff and family members and they set out to put an end to Abdul’s access to their queen. A very well done period film that gave a wonderful look into the daily life of Queen Victoria and who can go wrong with Dame Judi Dench in the starring role? Another local author for me! Charles Wheelan teaches at Dartmouth College. This 2016 book covers what money is and why it matters for laypeople. It takes an abstract subject and provides common sense insight and understandable examples. I was especially interested in the section on Bitcoin and other cryptocurrency. This epic fantasy was one of the best, if not the best book I read last year. It was fortunately (for me, anyway) lacking in the unusual explicit content of some of the author’s previous books, and in fact was fairly PG-13 as far as any sexual content goes. The world-building was exquisitely done – there are many cultures at play here, and each one is unique, vivid, and without a clear parallel to human culture. The same can be said of the characters – all the major characters are well-developed, frequently flawed, and still likable or at least sympathetic. I enjoyed the mythological aspects of the story as well. One quibble I did have was a diagnosis scene that clearly references chakras and blockages therein. In a less carefully constructed book, I probably wouldn’t have even noticed. However, that page or two is the only real complaint I had in the long and hefty book. It was also an extremely engaging read – there were plot twists and action aplenty, and plenty of deep emotional drama between characters to keep you involved. Recommended for fans of Tolkien or George R. R. Martin. Miles “Pudge” Halter has decided to attend his father’s private school Alma Mater. While there he falls in with a group of friends that orbits around enigmatic Alaska Young. Miles connects with Alaska over literature and philosophy but ultimately fails to really “see” her. When a cataclysmic event happens, Miles is left reeling and trying to understand the purpose of suffering in life, his relationship with Alaska, who Alaska really is, and how to create meaning in a seemingly pointless world. John Green writes from a teen perspective but with a depth that is relatable across generations. This month I share with you the absorbing memoir of 5-year old Saroo. Accidentally separated from his family in India, he finds himself asleep on a train and wakens far from home on the busy streets of Calcutta. With little knowledge of address and names from where he came, penniless as well a young child might be, the streets quickly absorbed him. He was later placed in an orphanage where Saroo was adopted and moved to Australia. Fast forward 25 years, and the story is of Saroo living a successful and meaningful life, yet memories of his birth family remain etched deeply in his heart. With an absolute loving respect for his adoptive parents he begins a search for his family in India, a seemingly impossible task with few childhood memories of long ago. I found find this memoir inspirational, heart wrenching yet joyful, and a truly enjoyable book! Coast into March with another easy-peasy little read by Louise Miller. The Late Bloomers’ Club is the second book written by this author, a real life pastry chef from Massachusetts. If you’ve read the author’s first book, The City Baker’s Guide to Country Living, you will enjoy catching up with some of the old characters from Guthrie, VT. The story unfolds when Peggy, the local “cake lady,” suddenly passes away. Everyone is surprised when it is discovered that Peggy who had no next of kin leaves her old farmhouse and acreage to Nora, the owner of the Miss Guthrie Diner and her artsy film-making sister, Kit who grew up down the road. Along with the property comes a list of special cake orders that the sisters feel obliged to fill even though neither really knows how to bake. The sisters feel overwhelmed with everything including the quandary of what to do with the property – keep it (which they don’t feel they can afford) or sell it to a developer. Of course, as in most small towns, the folks in Guthrie have their opinions on both. Mix in a dash of an hidden treasure, a pinch of romance, and a sprinkling of mysterious relationships and this story (along with its descriptive recipes) will entertain anyone in the mood to snuggle by a warm fire and have another good read before spring arrives. In Boston, four family members are murdered in their home. Missing – the 16 year old daughter and the family’s two dogs. Best selling NH author Lisa Gardner brings together two series leads, Sergeant Detective D.D. Warren and survivor turned vigilante Flora Dane to discover if the girl is victim or suspect. The new D.D. Warren book comes out on February 19. 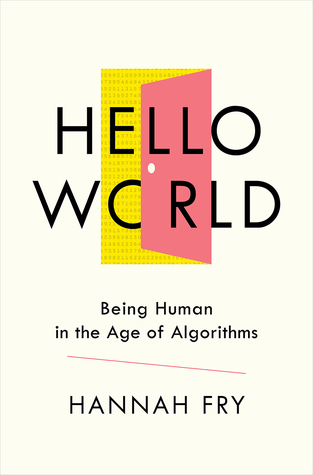 If you find data, computer science, or artificial intelligence even remotely interesting, read this book. Discusses a lot of what’s going on with that at the moment, where we’re headed, and ethical and practical implications. This introspective novel, written in verse, tells of Hà and her family as they escape Saigon to immigrate to Alabama during the beginning of the Vietnam War. Hà’s transition to American life is challenging and made worse by the fact that she is bullied in school and may never see her father again. Surrounded by the love of her family and the compassion of two of her neighbors, Hà finds a way to triumph, adjust, and eventually thrive in her new life. The author pulled from her own personal immigration and assimilation experience to fully illustrate Hà’s perspective. Recommended for all ages but is specifically written for middle grade readers. I am delighted to share with you one of my very favorite books – one such fun one to share in the month of February while celebrating BPL’s very own Furry Valentines! Although written in 2008, The Art of Racing in the Rain stands the test of time with no threat of being bumped from my bookshelf! It is a story narrated by Enzo the dog as he approaches the passing of his life. Enzo has shared his life with his best friend and race car driver, Denny. He has been a vigilant observer throughout his life and feels that he is now prepared and deserving to be reincarnated in his next life as a human. An emotionally gripping story of life’s trials, tribulations and celebrations. If you have ever been loved by a dog, this “tail” is for you! Mare Barrow is quite simply the lowest of the low. Among the lower class of a blood group known as “Reds,” Mare is a pickpocket and a thief. Even lower, she is no one’s apprentice, meaning she will be sent off to the long-fought war, controlled in the regiments of the dominant blood class: the Silvers, a blood type that results in mythical powers. Powerless, Mare steals for her family’s survival until she finds a young man by the name of Cal, who gives her enough money to satisfy her needs and offers her a job as a castle servant, at the beck and call of Silver royalty. Here, she discovers that she is not as Red as she once convinced herself she was. Biographies are always a favorite of mine, but throw in the setting of Europe 1937-1948 encompassing WWII and I am in! Madeleine Albright is also, in my opinion, a very good writer – keeping me captivated as she intertwined her own personal childhood history with political happenings in Europe during this time. I learned so many new things about the politics leading up to the war, enjoying her writing style with every turn of the page. This is one of those rare books I have recommended many times and would also count is as one of the few books I would read again. Prague Winter is a great winter read. Grieving parents confront a forest haunted by old gods in this slow, atmospheric horror with mythological and fairy-tale roots. So basically my kind of book. Also, it had a lot in common with A Monster Calls by Patrick Ness. Different plot and all, but same sort of themes of grief and Cernunnos. Recommended for fans of mythological fantasy, Katherine Arden, or Neil Gaiman. Steve Brusatte is a leader in the world of paleontology and is the lead paleontologist for BBC’s Walking With Giants program. His natural excitement keeps prehistory accessible and intriguing. While weaving a compelling narrative about fossil hunting and scientific discoveries, he thoughtfully ruminates about our origins and the future of humanity. This book is a solid history of the evolution of dinosaurs and their eventual death, a history that is like looking into a pond and seeing your reflection in the lives underneath. As the library prepared to close for a week in preparation for new carpeting, I looked forward to some anticipated open spaces in my days! I reached for the pyrography kit available for loan at the library before heading home. Once I found that special “me” time in my day, I sat down with the kit. Opening it was like uncovering a buried treasure, with tools, supplies and instructions to get me started. I supplemented the manual with a quick look at some “how to’s” as well as project ideas on the internet, and in no time I found myself burning some holiday ornaments. There were no mishaps and I enjoyed my play time! I found that a “steady as one goes” and “don’t linger” with the pen to be important guidelines. Some ornaments are sporting scorch marks which I prefer to think of as star bursts! The New Year is always a great time to explore. A variety of kits are available at the library, free to borrow and try at no charge. I encourage you to give it a try! Darius Kellner would like to clarify a few things: he loves tea, he’s a Fractional Persian, and he is not a Soulless Minion of Orthodoxy. Unfortunately for our protagonist, this lands him with depression, bullies, and a family that he doesn’t feel at home with. Despite their bond over Star Wars and a shared mental illness, Darius and his father Stephen differ in just about every way. He’s close with his mother, but resents her as she kept him from learning Farsi and imparted the knowledge instead onto his sister Laleh, the perfect, Persian little girl. Darius has never met his grandparents but a family trip to Iran for a medical emergency changes this. Darius travels to his homeland for the first time where he meets his Babou and Mamou, who he’s never seen outside of a video call. As Darius explores the foreign city, he meets boy next door Sohrab. The two become fast friends and overtime, Sohrab becomes the place were Darius realizes he truly fits. Yes, there’s a trend here…back to the land books for winter reads from me. This book happens to sit on a shelf at BPL right next to my December staff pick, inspiring me to make it January’s pick. Such an interesting story about a young woman from who decides to challenge herself to live off what she can produce for a year…all while living in an apartment in Oakland, CA. She starts gardening in her backyard and quickly decides to make use of an empty lot next door, surprising the neighborhood kids with how vegetables actually grow and not minding too much when they help themselves to some of the fresh vegetables. She also decides to raise animals including two pigs and meets an unlikely friend and teacher while dumpster diving behind a nice restaurant in search of food for two very hungry rapidly growing pigs. Entertaining and educational for those of us who enjoy a good how-to story. Miss Marple, “the Victorian ideal of an old maid,” with her glasses and knitting and gentle manner, is of course one of Agatha Christie’s greatest creations and is never wrong when – tenaciously but ever so delicately – she puzzles out the culprit. And here are 20 delightful stories at her best. Winter, to me, is a time to go inward. It is a time for quiet reflection, solitude juxtaposed with family, and warmth. Maxine Kumin was an award winning New Hampshire poet and it is clear to see why after reading this slim but powerful book. Her subtle strength and fine skill as a poet is left quietly between these pages. 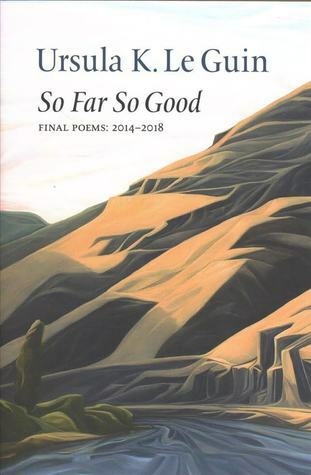 Each poem profoundly resonates, from the current issues of today to the seasonality of life and the emotional depths of rural New Hampshire living. The Deal of a Lifetime is a novella written by Frederik Backman. One of my favorite authors, he does not disappoint as he writes this short story of two cancer patients; one a young child and one an ambitious man who lives by riches and status. A hospital levels the playing field for both as moments and minutes become gifts to be treasured. Wrap yourself in a warm blanket and find a quiet space. This book will not disappoint. It is a celebration of humanity, and a gift worth giving yourself. It offers a good story and will leave you wanting for more! For Simon Spier, life as a gay teen isn’t all it’s cracked up to be. His friends are loving but lacking in numbers. His parents are there for him but are blind to his interest in guys. And he really wants a boyfriend, but remains one of only a few LGBT+ kids in his school. So what is there for Simon to do but take to the internet. On his school’s forum page creeksecrets, Simon finds the mysterious Blue, a fellow gay kid looking for someone to talk to. Simon takes the chance of a lifetime and emails Blue and the two begin to bond over their love of Oreos and indie music. The two grow closer until Simon’s emails are found by class clown Martin Addison. Despite his friendly demeanor, Martin approaches Simon with a threat: Get your best friend to love me, or I tell the whole school about Blue. Fans of Yankee Magazine will recognize Ben Hewitt as a regular contributor, sharing the tales and trials of homesteading in Vermont’s Northeast Kingdom. Ben has a wonderful way of storytelling and teaching at the same time. In The Nourishing Homestead Ben recounts the story of how he and his wife Penny purchased their land and set out to homestead, first living in a tent while they built a barn for their animals and then their own home. Their goal was and still to this day is to live off the grid, preserving food (includes recipes), taking care of livestock, gardening, etc.. Their family eventually grows to include two little boys who participate in their daily routine. This all makes for an interesting winter read and a great resource book. This is children’s literary horror. So there’s that. It’s definitely of a much more refined quality than, say, Goosebumps. I was going to say “Who even writes literary horror for children?” but then I remembered, obviously, Neil Gaiman, and this is definitely a good recommendation for anyone who enjoyed Coraline or The Graveyard Book. I am both pleased and unsurprised that Katherine Arden can also pull off the genre. 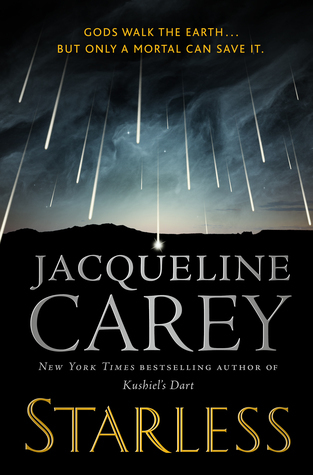 It is a bit of a slow burn – for the first third to half of the book, I wanted to sit with each chapter after I read it instead of rushing through, although eventually I just kept going. And despite being kid-appropriate, it was still very creepy and definitely gave me the chills.